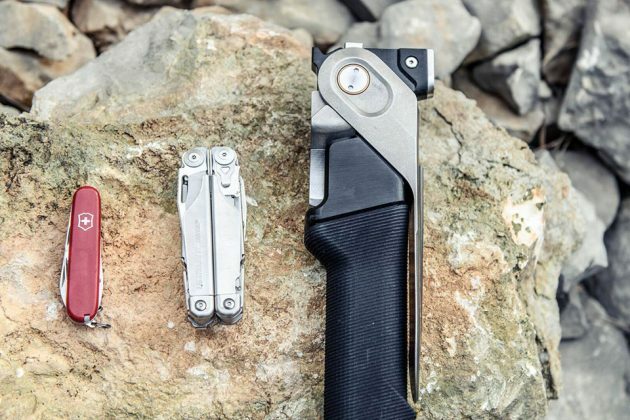 A pocket-size multi-tool can come in handy when you are out in the wild, but we shouldn’t kid ourselves because a pocket knife is not going chop woods. 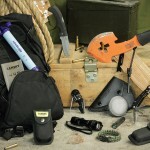 It simply don’t cut it and that’s precisely why ex-special operations veterans over at Aclim8 Inc. designed the COMBAR. No. 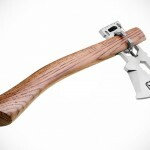 It is not a crowbar, although it may sounded like one. 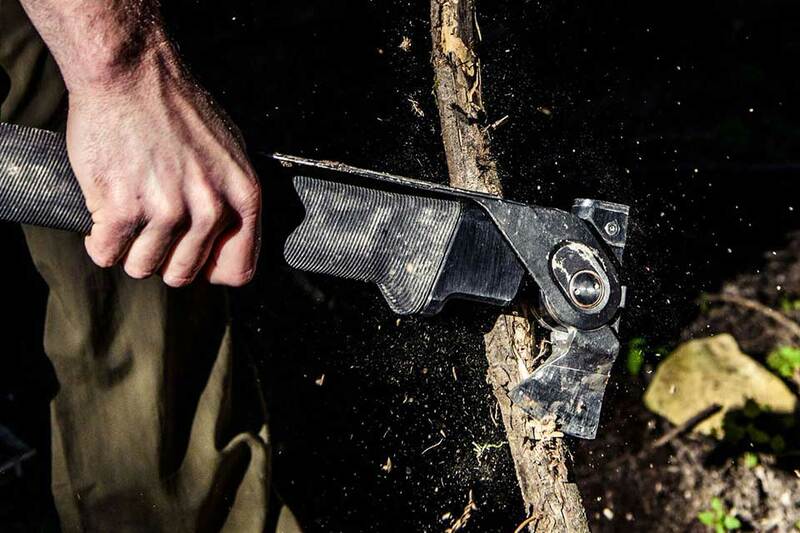 COMBAR is a new kind of multi-tool that defies the convention of being small and handy because, in reality, bigger is always better. 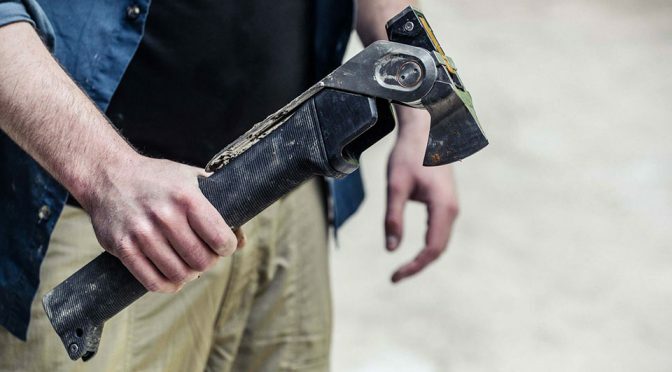 COMBAR features an innovative rapid-activation design and meticulous safety mechanisms with at least three tools packed into a lightweight package. Weighing no more than 3.2 lbs (1.45 kg), it boasts three main tools: an axe, a hammer and a spade, and a space within for stashing whatever small items that you may need. 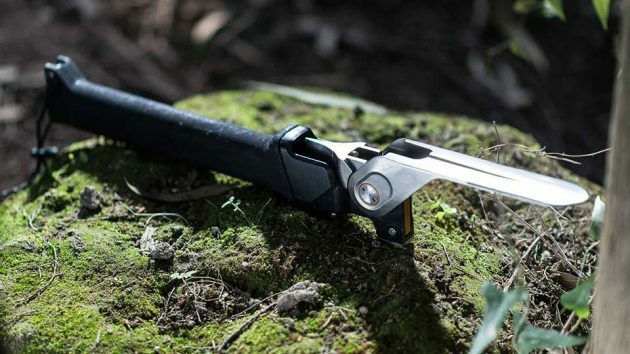 The Pro version, however, sees the COMBAR getting five tools: the aforementioned three, plus a survival knife and a saw – stashed in the storage found inside the handle. 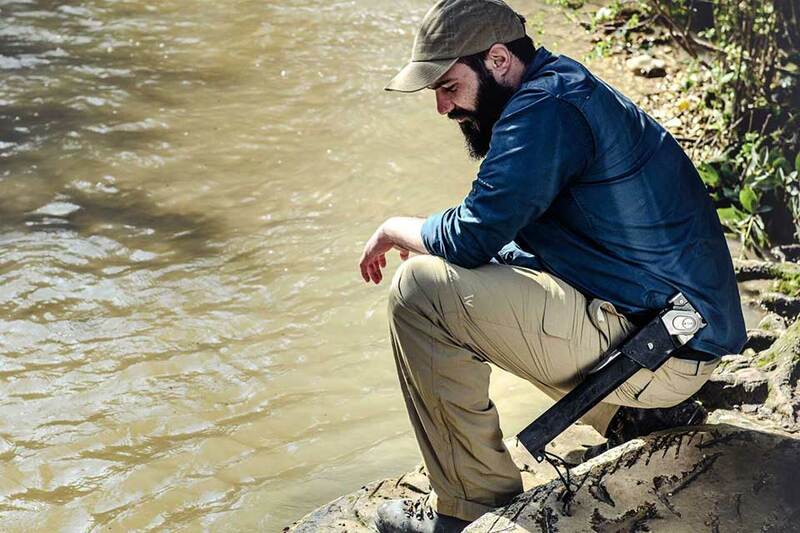 A thoughtful accessory called a magazine allows both Pro and non-Pro COMBAR an easily retrievable storage space inside the handle, while optional accessories, including a case and a holster, let you bring along COMBAR or wear on you in style. 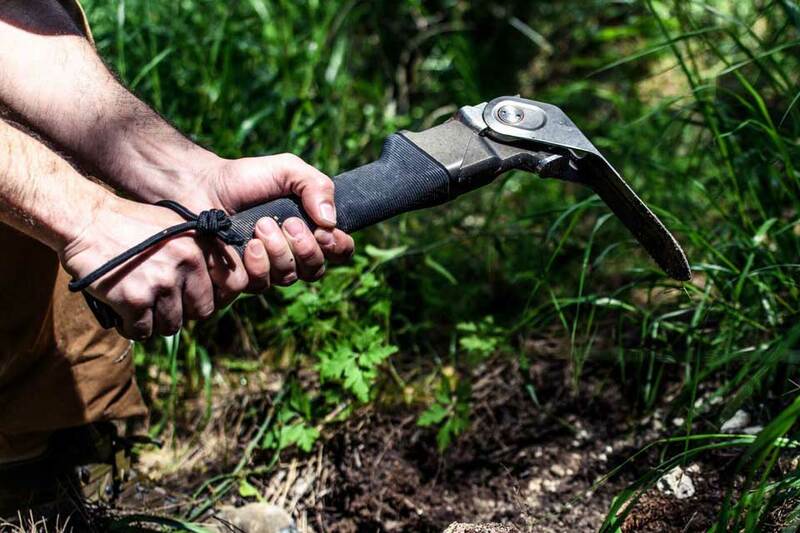 COMBAR is, as mentioned, designed for the most demanding outdoor tasks and as such, it is made of premium materials like aircraft aluminum, titanium and stainless steel to ensure durability and longevity. ACLIM8 said it has put COMBAR through a battery of tests, including drop, heavy load, uses it to smash rocks, and even go as far as immersing it in water for weeks and packing sand into every nooks and crannies – all with the aim to ensure it can take it all and remain functional. In fact, ACLIM8 is confident that they are offering a lifetime warranty along each COMBAR. That sure sounds like a bold claim for a tool that will be put under extensive punishment. 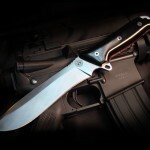 NOW READ Sandrin Knives Platinum Mamba: Who Knew Knife Could Be This Luxurious? Last but not least, COMBAR is also all about safety with lock mechanism to tuck sharp edges away, so the tool won’t become your closest enemy. 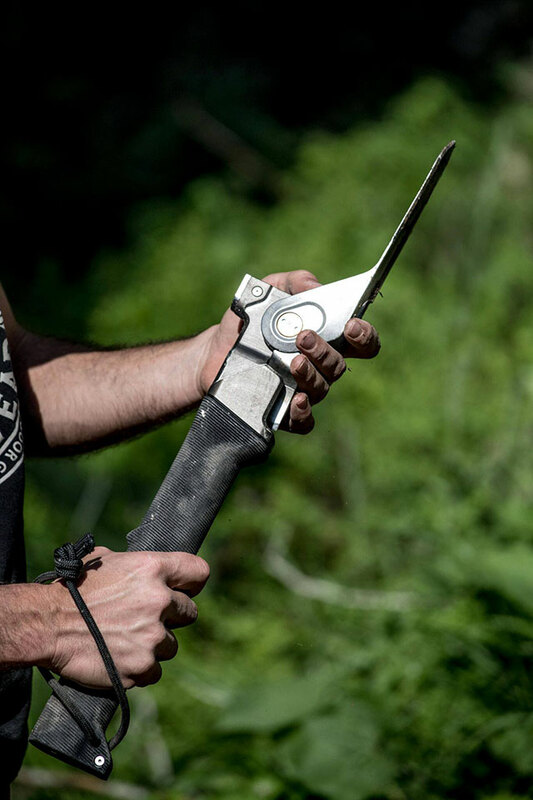 The result is a tool that look the part. I must say COMBAR looks pretty dope. However, as brilliant and capable as it is, COMBAR does not come cheap. A regular COMBAR has an eventual retail price that starts at $499 and the Pro mode, at a cool $799. But, but… you can save yourself between 32-40 percent if you back the product on Kickstarter. For the next two months or so, you’d be able to secure a unit for $399-439 for the standard model, or $479-579, depending on the configuration. I am not going to lie. It is still rather pricey nevertheless, but hey, if you need one, you need one. 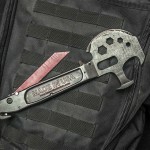 Plus, if it delivers as promised, then this is probably the only (major) tool you will ever need. Skip ahead for the product pitch video to pick up more details, or if you want, hit up the product’s campaign page for even more in-depth information. All images courtesy of ACLIM8.